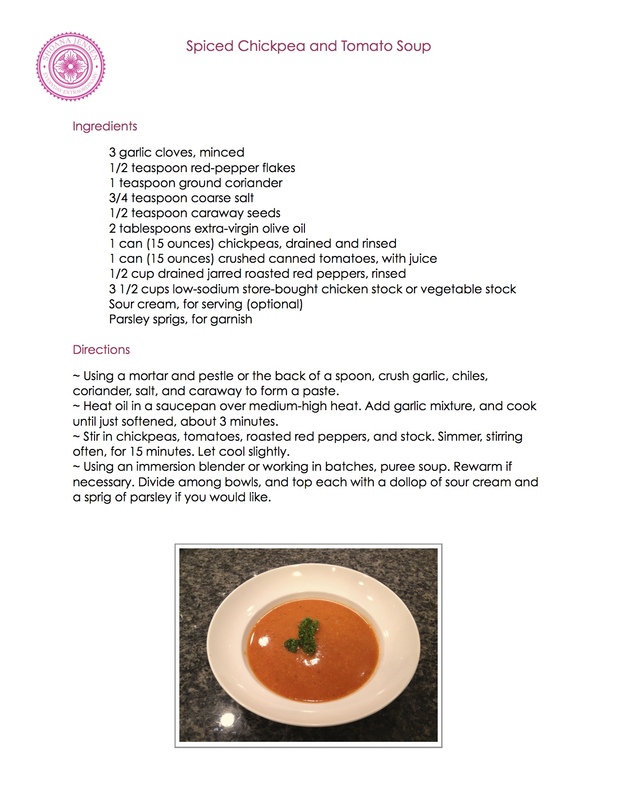 Here is a favorite recipe of mine that is super filling, very healthy and tasty. How can you beat that combo? I make it with chicken broth. But, to make it completely vegetarian use vegetable broth. It has chickpeas in it. But trust me, you will never know they are in there. We are all health conscious, so be sure to rinse your chickpeas to remove excess sodium that is in the can. As well, rinse the red peppers to remove the oil that they are jared in. I personally don’t bother with the sour cream; I prefer it to be dairy free. But, the option is there for those of you who would love a dollop on top. I made a yoga workout BINDER!!! That’s an amazing binder idea! I might do that one too! The “Spiced Chick Pea and Tomato” soup is great. Tastes better than the new Tim Horton version and does not have the hundreds of calories. Love it. I am glad that you like it, Linda! I didn’t even know Tim Hortons had a version! I would have agree with you to assume this one is much healthier! Annd obviously, thanks for your effort! Hey there! I simply wish to offer you a huge thumbs up for the great information you have right here on this post.